Netflix’s live-action adaptation of Gerard Way and Gabriel Bá’s The Umbrella Academy is a curious blend. It mixes the original comic’s genuine oddness, which felt refreshing back in 2007 when Dark Horse first began publishing the series, and the kind of formulaic TV storytelling that’s come to define most of the streaming platform’s superhero-focused content. On paper, it has a blend of narrative elements—familiar tropes punctuated by bursts of utter madness and whimsy that bend the mind—that make for a generally fascinating show, and Netflix’s The Umbrella Academy is fascinating...at times. 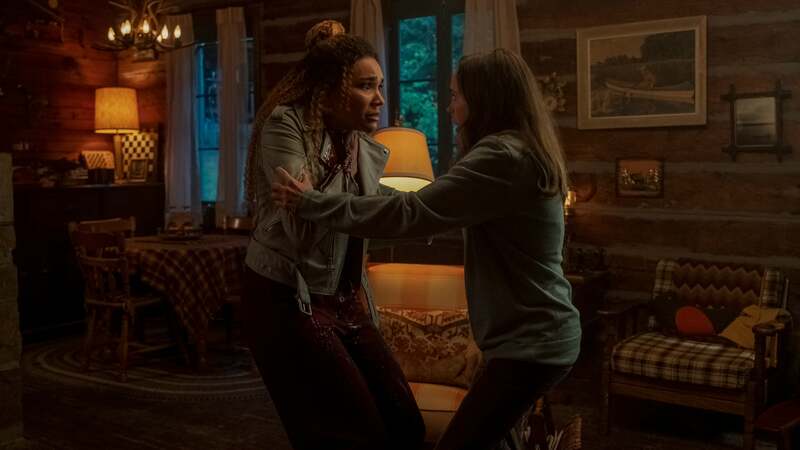 But the handful of moments when the series lives up to its full potential are eclipsed by a much larger problem that’s plagued many of Netflix’s programmes—one that’s particularly glaring with The Umbrella Academy. The Umbrella Academy is a show that wants to keep you on your toes while it pulls you into a new live-action world of superheroes defined by a unique set of rules, and populated by a complicated cast of characters whose shared histories have turned them into a dysfunctional family of sorts. The seven Hargreeves siblings aren’t just a bunch of superpowered children suddenly, immaculately conceived by different mothers across the world one day in the late ‘80s, they’re people who grew up living as global celebrities made famous by their acts of heroism led by their eccentric, adopted father Sir Reginald Hargreeves. Living in the spotlight and under the tutelage of a loving, but sometimes cruel father figure understandably forces each of the siblings to attempt to cope by carving out new identities for themselves in their adulthood, and by the time we meet them, they’ve all gone their separate ways, in an attempt to leave their old lives behind. Through a number of far-too-short flashbacks, we’re given a few glimpses of the siblings as kids—moments where you see the beginnings of the off-kilter people they were destined to become. But The Umbrella Academy kind of drops the ball because of the straightforward and oftentimes uninspired way it presents these things about its characters. If you’ve seen one story about a group of estranged family members coming back together for a funeral, you’ve pretty much seen them all. There’s grieving, and fighting, and the reopening of old wounds that speaks to years of unease and conflicted emotion, and it all feels too...“normal,” a shadow of what a real Hargreeves family reunion might be like. The members of the Umbrella Academy are not the X-Men or the Suicide Squad, and yet, in a way, they are. They’re, as Bruce Banner might put it, a ticking time bomb of a chosen family whose differences should make them clash as often they bring them together. While the series softly veers into that direction a couple of times, it doesn’t fully embrace it until very, very late into the season with a trio of episodes that feel distinctly elevated above the rest. In our review of the first season, I critiqued the show for the clumsy way it pushed and pulled its sizeable cast of characters together and apart while never managing to make them really come off as people who actually knew and grew up with one another. Klaus, Allison, Vanya, Diego, Luther, Ben, and Number Five are all interesting characters, but the series merely flirts with the idea of digging into the traumas that define them as adults until the season’s closing out and a number of secrets are revealed. Though Allison’s very much a part of the first season, it’s not until we see her history of abusing her powers of suggestion (and ruining her family in the process) that The Umbrella Academy begins to unpack the complexities of her life. It’s nowhere near as dramatic as Kilgrave’s situation in Jessica Jones where we learn that he’s gone through life largely unable to know whether people around him are being controlled by his abilities, but it’s part of her identity that makes her estrangement from the family make sense and raises a number of interesting questions. Did she grow up as a pathological liar? How often did she knowingly use her powers on her siblings to get what she wanted? The entire plot dealing with Sir Hargreeves forcing Allison to use her powers to convince Vanya that she’s ordinary is electric in ways the rest of The Umbrella Academy simply isn’t. In that scene between the sisters in Leonard’s cabin, trauma and years of resentment bubble to the surface and culminate in a fight that strikes a perfectly uneven balance between comic book melodrama, and relatable, human pain. From the moment that Vanya slashes Allison’s throat with an energy blast from her violin bow (see, this is what we mean when we talk about comics ridiculousness), The Umbrella Academy kicks into gear and the characters finally begin to feel something like a group of people who’ve known each other all their lives. 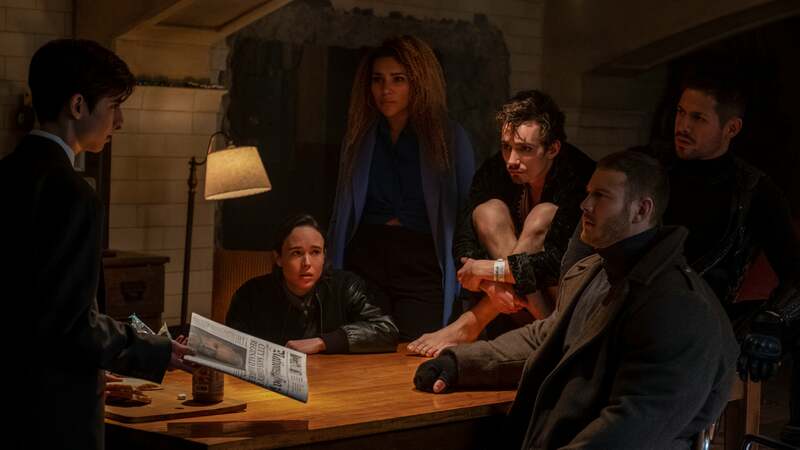 The problem is that The Umbrella Academy wants its final chapters to shock and surprise you, and so they’re packed with all of the small, but important character details that are conspicuously missing from the rest of the season. The flashbacks of a young Vanya killing multiple nannies before Hargreeves builds Grace to replace them are fucked up, funny, and the sort of titbits that could have just as easily been sprinkled throughout the show to play into Luther’s suspicion that one of his siblings might have murdered their father. In its attempt to tell yet another Netflix story about superheroes, The Umbrella Academy falls into the twin traps of being too long and spending far too much time telling rather than showing us why we’re meant to care about its characters. In those moments when the story goes off the rails and focuses on Klaus channelling spectral tentacles to fight off baddies and Vanya ushering in the apocalypse with a concert, The Umbrella Academy becomes a different and more interesting show that’s also doing a lot of the work to make those moments feel earned. In its attempt to tell a somewhat traditional story about a motley crew of damaged heroes, The Umbrella Academy ends up holding itself back. It’s not that it needs to be more like the comics (deviations from source material can be a great thing) in order to be good, but it would be much better served by embracing the weirdness woven into its DNA and not trying to be as traditional a season of television as it is.